On the back burner with everything that is in the media there is one item that is pretty terrifying that is not being talked about. This is EMP, short for Electromagnetic Pulse. This can be created by an enemy and render the United States back to the dark ages in under one second. When a nuclear bomb is detonated above the earth's atmosphere the EMP effect will happen over a vast area on the surface of the earth. Note that this type of nuclear explosion and disaster can be created by a bomb that does not require a reentry device as it will not be striking the surface. The above is mentioned because so many people, agencies and media state that the threat from countries such as North Korea and Iran are not real as these countries have not devised a device for their nuclear bombs would would allow them to survive reentry into the earth's atmosphere. However, the threat is real. North Korea EMP attack could destroy U.S. and Understand EMP Threat? U.S. Enemies Do. Author's note: This article was written in 2013, but as of February 7, 2016, with the launch of the recent North Korean ballistic missile that is purported to have placed a satellite in orbit, this article has become even more important. 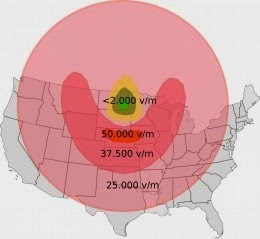 For EMP to work, one just has to toss up a nuclear weapon above the geographical area they want to attack. The distance could be from 300 miles up to just a few miles up. This type of a device could be fired off the coast of the U.S. or even in the Gulf of Mexico, using a simple Scud missile off of a container ship platform. One has to remember that there are hundreds if not thousands of Scud missiles that are out there and available. In general, an EMP attack will fry all electronics. This is in your cars, planes, computers, devices in your home, industrial and military equipment, electrical power grid and much, much more. Imagine the U.S. without electronic communications, no vehicles or planes working, no internet, military weapons suddenly useless and no electricity over the whole country with the electric power grid fried along with all its components. Within a second of an EMP attack planes will simply fall from the skies. There is a vast amount of planes flying the skies over the U.S. at any given moment. This alone would cost approximately 250,000 lives within seconds. Is the United States prepared for an EMP attack? Effects of an electromagnetic pulse at 400km above the Earth's surface. The scary answer is no. The U.S. has no plans or safety nets in case of an EMP attack. Such an attack will simply put those in the U.S. back to the early 1700's or so. Big cities will become traps and nightmares as supplies run out and food spoils due to no refrigeration. There will be no way to have running water. There will be no way to move supplies around as all vehicles will be rendered useless. The effects of EMP were studied by both the U.S. military as well as the Russian Military decades ago. The results are known. These were small and isolated tests. The effects over areas that are vastly populated and including a whole country simply would be overwhelming. The reality of an EMP attack is that one bomb, yes just one, exploding approximately 300 miles above the middle of the United States within one second would render the country defenseless. The war is won. Who would launch an EMP attack on the United States? One has to remember the hatred of other countries of the United States and its people. Again, just one nuclear bomb is needed. It does not even have to be a nation such as North Korea or Iran. It could be a lone terrorist or a terrorist group that obtains just one bomb. The scenario of what happens after such an attack were partially described above. However one has to remember that medications will not be manufactured, stored, shipped or available. People will die from no medication, not just lack of food, water, heat and shelter. There will be no replacement parts for our electrical power grid. No way to manufacture replacement parts. No way to transport replacement parts. It could take years to get the United States back up and running with just electricity. It would take just as long, if not longer to begin to replace components in cars and homes for individuals. Overall, there are predictions that up to 90 percent of the U.S. citizens will die as a result, over time, of an EMP attack on the United States. Considering that life as we know it will suddenly be disrupted after an EMP attack, it is well advised to think ahead. Keeping much of the same supplies as for a natural emergency on hand will alleviate much of the hardship for the first weeks following such an attack. A well stocked emergency kit should be put together. Also take into considerations water and other items such as medications. Stockpiling is not something that is not feasible. The author does it and simply rotates stock, keeping fresh supplies on hand while using the older supplies. On October 16, 2012 Boeing, Raytheon Ktech and the United States tested an EMP missile that fried personal computers and electronics. The missile did not have a nuclear warhead on it, and was not exploded hundreds of miles above the earth. This missile used microwaves and the name is known as CHAMP, or Counter-electronics High-powered Advanced Missile Project. 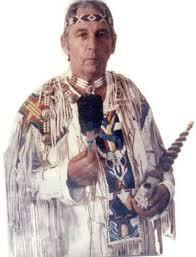 What Is Voodoo and Hoodoo Spirituality?